Unilever Indonesia has handed its digital marketing duties for Rexona deodorant to Mirum Indonesia. This expands the wide portfolio of brands handled by the digital agency for Unilever Indonesia. Mirum Indonesia, which also won the Magnum and Buavita accounts earlier this year, now takes care of digital and social marketing strategy for a total of 10 Unilever brands in Indonesia. “Rexona aims to own the category in the digital space, which is an important part of our target market’s daily life. And Mirum is the right partner to achieve this. They have passion, creativity and the digital expertise which is very relevant with our target consumer nowadays,” Diko Handono, senior brand Manager of Rexona said. Consumers in Indonesia, Southeast Asia’s largest economy, are among the world’s most avid users of social media – and that’s set to grow exponentially. Smart phone penetration in this country of 250 million has soared to 43% from 28% last year, according to a recent report by Google and TNS. Indonesia also has the highest percentage of mobile shoppers among Southeast Asian countries in the survey, which included Malaysia, the Philippines, Singapore, Thailand and Vietnam. 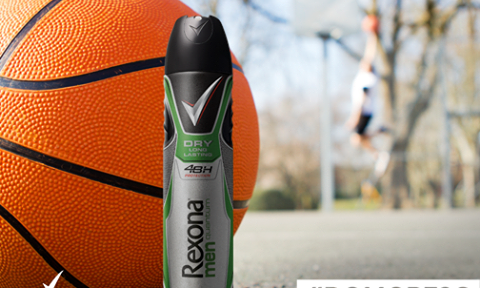 “We’ve got a lot of great ideas for Rexona and we look forward to working with the team on their digital strategy. It’s always an absolute honour to be given an opportunity to work with Unilever brands,” said Garth Parlimbangan, Managing Director of Mirum Indonesia. Mirum was formed in January, when XM Asia Pacific and 10 other digital agencies in J. Walter Thompson’s global network formed a new global digital agency spanning 20 countries and 46 offices. In Indonesia, XM Gravity was rebranded as Mirum Indonesia. Will Coca-Cola’s chief scientist exiting help clear the air? "Take the time to understand the human issues at a deeper level. Then, spark and be a part of the conversation.".. Creepy or cool? You decide. ..
"Marketers should not rip off materials or quotes from a foreign luminary or icon. "..